Polini ECU, “engine control unit” is the most advanced programmable gearcase made by the factory of Bergamo for all the 4 stroke injection engines. It controls the amount of fuel that enters in the cylinder by changing the ignition timing. 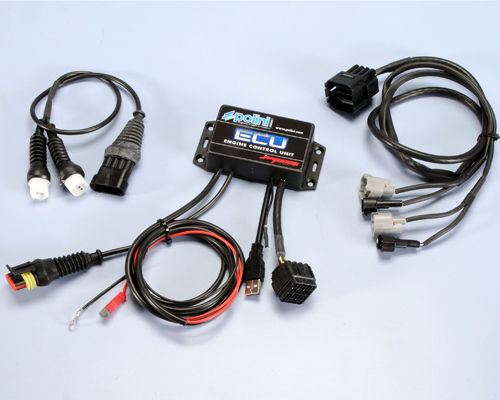 The idea of making the ECU Polini arises from the need to modify the injection of the tuned 4 stroke scooter engine. 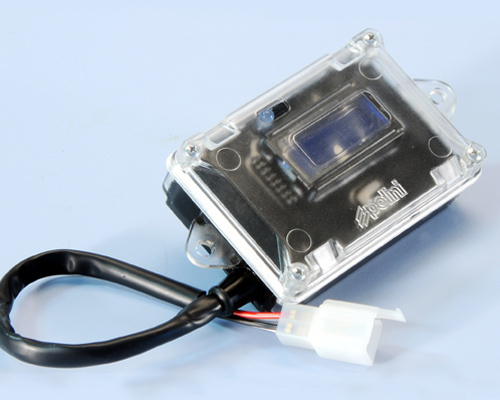 ECU Polini is an add-on gearcase that fits perfectly to all the scooter with the appropriate cables connected directly to the original injector. Easy to schedule, intuitive and directly done by the user on the gearcase. You can change the injection times every 200 rpm with a few CLICKS. These simple steps allow you to find the perfect carburation by increasing or decreasing fuel amount into the engine. Polini ECU, “engine control unit”, is the most advanced programmable gearcase specific for the Yamaha TMax scooter. It controls the amount of fuel that enters in the cylinder by changing the fueling injection. The ECU is easy to set up and it interfaces with the original gear case. The programming is intuitive. You can download the software to run the Engine Control Unit from www.polini.com website, “technical area” section. The Polini ECU, thanks to the original sensor located in the air filter, acquires the data, and it sets itself automatically according to the weather condition. These simple steps allow you to find the perfect carburation by increasing or decreasing fuel amount into the engine. Each model has been already set up for the original scooter. But the best performance is achieved if assembled together with the Polini Hi-Speed variator.